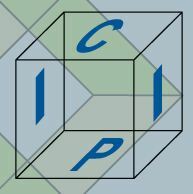 We are pleased to announce that the paper ” EVALUATING THE PERCEIVED QUALITY OF SPECTRAL IMAGES ” by Steven Le Moan and Philipp Urban has been accepted to the ICIP 2013 in Melbourne, Australia. Congratulation to the researches. For further information please click here.